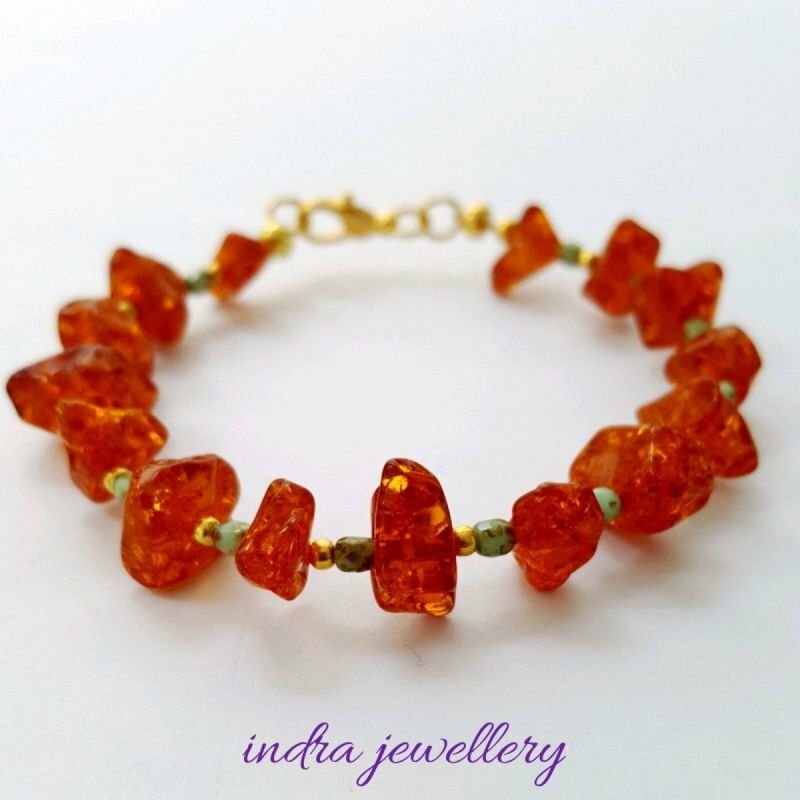 This bracelet is a really pretty genuine amber beaded bracelet. The amber beads are nuggets and are seperated with little green and gold czech glass beads and little gold spacer beads and finished with a gold toned lobster clasp. Amber is a hard, translucent, brownish-yellow substance that is the fossilized resin of ancient trees. It often contains fossil insects.